Recently, Katherine and I went to A Good Day to Die Hard for Valentine’s Day (hey, I’m a romantic, okay?). It was disappointing, to say the least (not the company but the flick) – Bruce Willis lacked energy, and towards the end of the film I said something like, ‘Wow, he looks old,’ to which Katherine responded by reminding me that he is old (with a detectable sense of, ‘Are you really this deluded?’) – Shock! My takeaway was that in the next Die Hard installment, John McClane (Willis’ iconic character) needs to die (Don’t worry, Bruce, I’ll never stop going). In this regard, I can understand the disciples’ shock in the Upper Room when Jesus told them that He would die. For them, Jesus was making Himself less, and to be sure, He was. And they weren’t ready for Him to be weak. But the other night we saw Robert D’Niro in Silver Linings Playbook. The movie was brilliant in spite of the fact that D’Niro looked like a little old man, which, in fact, he is. What made him effective was that he didn’t need to save the US from Russian terrorists. Instead, he played an aging, weak, broken old man while ‘blocking’ for Bradley Cooper, the lead actor. 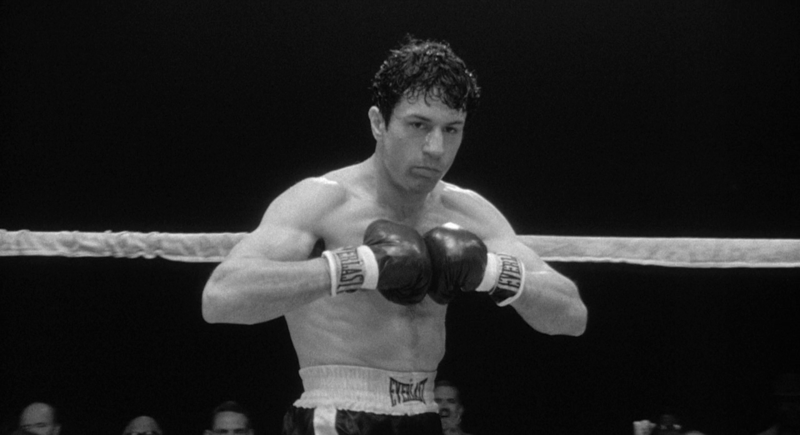 As always, D’Niro was tremendous, and in spite of the fact that I’ll always see him as Jake LaMotta in Raging Bull, he actually became more by making himself less, in enabling his young lead actor to shine. This is the way of the Cross. It is the supreme demonstration in which we discover our true identity when we abandon self and live sacrificially for others. In this we discover that we are strongest and most influential when we embrace weakness. It is the way of Jesus, and it is an intentional movement towards self-denial, all the way to sacrifice. Hey, I don’t get it either, but I am drawn to what Jesus calls me to, because the alternative is to follow my instinct to clog all meaningfulness with ego – and that gets old real fast. Like John McClane, I mean… Bruce Willis. Jesus didn’t call us to take up our crosses for our own sakes (Luke 9:23). It was a call to join Him in His work of redeeming the whole world, an invitation to be liberated from the dungeon of self. Whoever knew Al Capone (Robert D’Niro, that is), could teach us so much about the gospel? You are currently reading The Gospel according to Robert D’Niro at unfinished1.